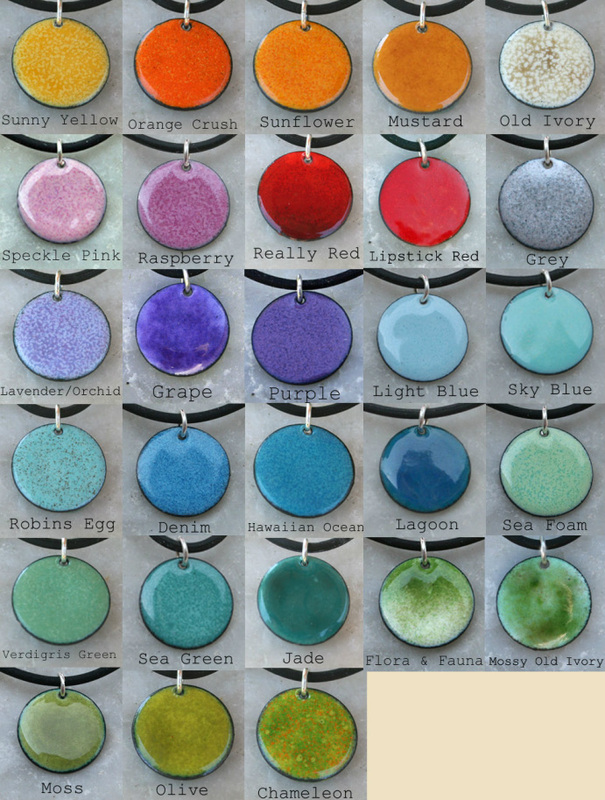 Dot earring and disk necklaces can be made in any of these colors. Can't find what you like? Special orders are welcome. 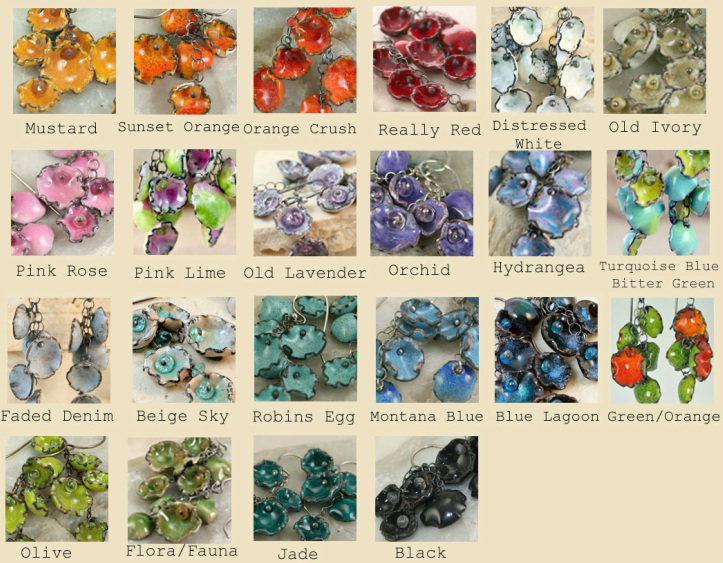 A necklace or earrings can be made of any of the listed colors. Have another color in mind? Special Orders are welcome.